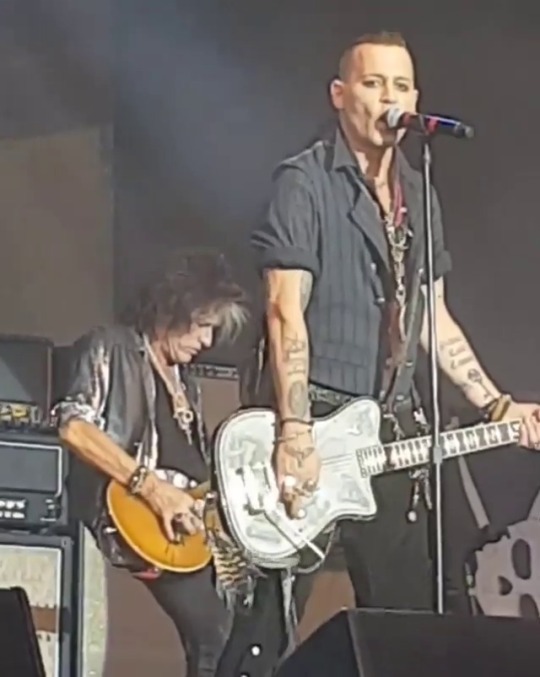 Johnny rocking with the Hollywood Vampires Tour last night, June 7, in Gröna Lund, Stockholm, Sweden. The second Hollywood Vampires’ show in Sweden is over… But tomorrow their next stop is in Tivoli, Copenhagen, Denmark. Johnny singing his cover from “Heroes”, today in Grona Lund, Stockholm, Sweden. The Hollywood Vampires are on stage, right now, in Grona Lund, Stockholm, Sweden.